Mumbai-based Eduvanz Financing Pvt. 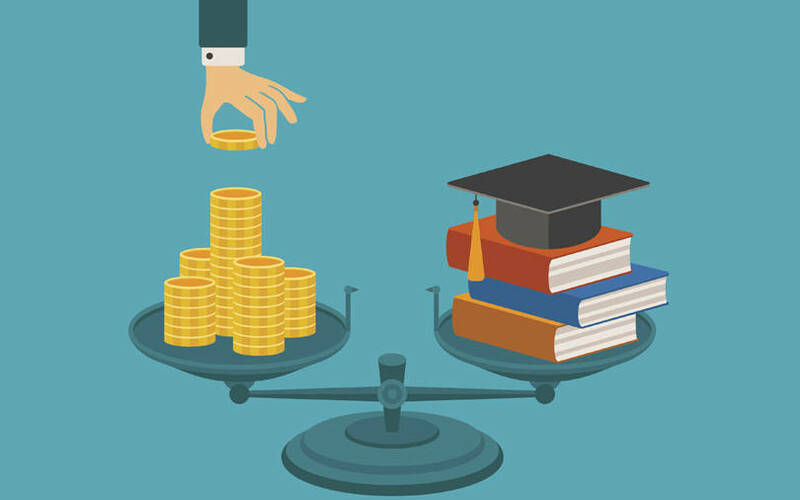 Ltd, an online platform that provides education loans for students and skill-seekers, said it has raised $2 million (Rs 13.8 crore at current exchange rate) in a fresh funding round. Eduvanz received this investment from social-impact investor Unitus Ventures and Michael & Susan Dell Foundation. Varun Chopra, co-founder and chief executive of Eduvanz, said that the latest round of funding will be utilised to strengthen the technology backbone and expand the firm’s lending operations. He added that the company hopes to build a Rs 100 crore loan portfolio by catering to at least 10,000 students over the next two years. “By finding viable financing solutions for high-quality skilling courses, we can enable the growth of the skilling industry and prepare millions of youth for twenty-first century jobs,” said Geeta Goel, country director for Michael & Susan Dell Foundation. Prior to this, in February last year, Eduvanz had raised $500,000 (Rs 3.21 crore) in an angel round of funding led by venture capital firm BLinC Management Advisors Pvt. Ltd.
Eduvanz was launched in September 2016, by Chopra, Raheel Shah and Atul Sashittal. It uses proprietary artificial intelligence-based algorithms and predictive analytics to collate financial and socio-economic data to lend to potential borrowers. Eduvanz primarily works with leading corporates, training partners and industry bodies to ensure individuals with no or limited access to credit get low-cost financial assistance. Till date, the startup has disbursed more than Rs 12 crore to over 1,000 students and skill-seekers for a diverse range of courses in domains such as Big Data, artificial intelligence, carpentry, welding and spoken English. Eduvanz has also partnered with more than 80 institutes such as Imarticus, K-11, and ISBM to help its student borrowers with placement and scholarship support. As part of its future expansion plans, the company is looking to launch an artificial intelligence-led product for risk assessment. Chopra previously worked as a vice-president for the change management team in financial services company Nomura India. Before Nomura, he worked as a business manager for global credit products in Deutsche Global Markets Ltd. He is an MBA-degree holder from IIT-Madras and a graduate in information technology from the Delhi University. Shah is an alumnus of the Indian Institute of Management, Ahmedabad, and a chemical engineer from the Institute of Chemical Technology, Matunga (Mumbai). Sashittal has 25 years of experience in the field of information technology. He has worked with companies like logistics firm DHL Worldwide Express, investment bank CLSA Ltd and financial services company Angel Broking Ltd.
March 2019: SMEcorner, a microlending platform for small and medium businesses, raised Rs 90 crore ($12.8 million) in debt and equity funding. February 2019: HomeCapital, a fintech startup which helps first-time home buyers make down-payments, raised an undisclosed amount in a pre-Series A funding round led by Astarc Ventures. January 2019: Mumbai-based LoanTap raised $8 million (Rs 57 crore then) in a fresh round led by new investor 3one4 Capital.